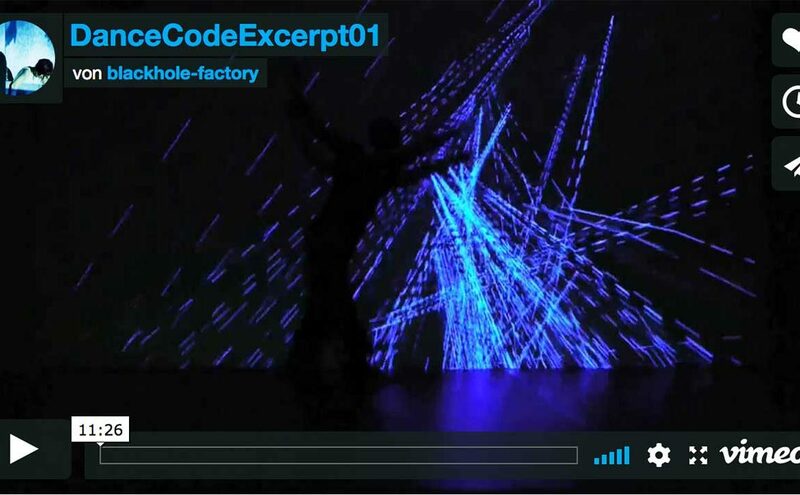 Dance_Code is a project by the dancer Agnetha Jaunich (Kassel) in collaboration with blackhole-factory, exploring the possibilities of transforming movement and sound into 3d graphics in an improvisation. 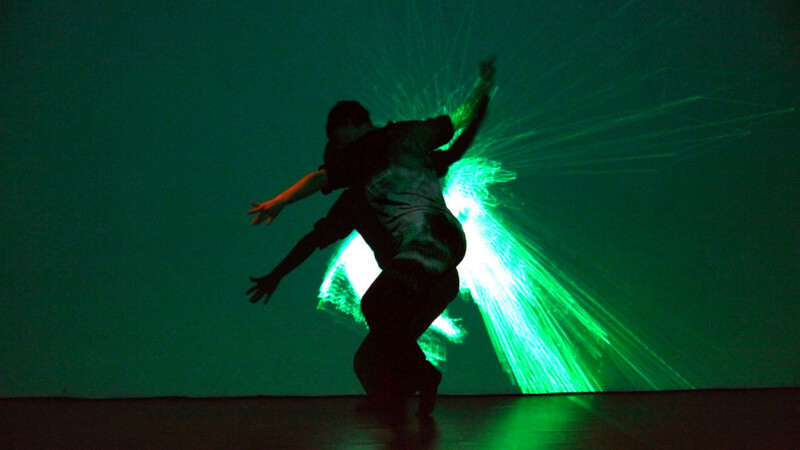 The movements of the dancer are tracked by a kinect sensor and mapped to the position and shape of the 3d object. 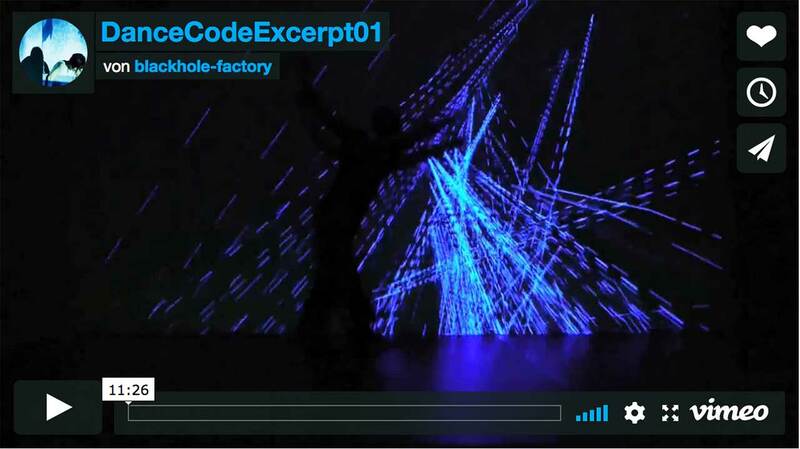 The frequency spectrum and amplitude of the sound are changing the texture and distortion of the object.